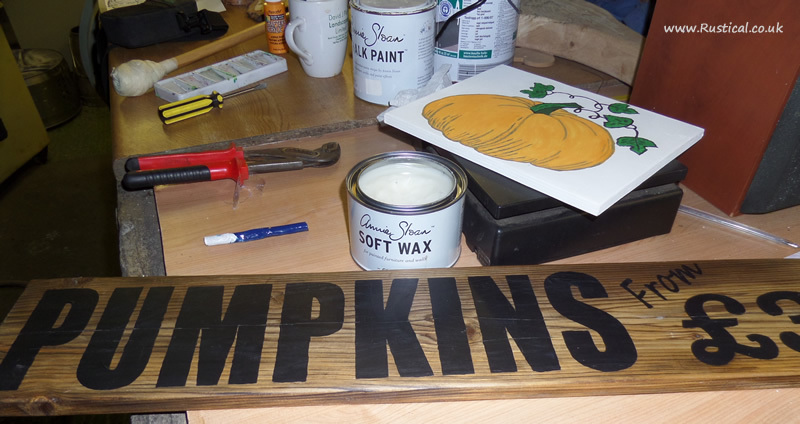 The recently hand painted sign got a coat of Annie Sloan clear wax today. It soaked in quickly so another few coats will be needed. The wood looks good but I am not sure about the black lettering.